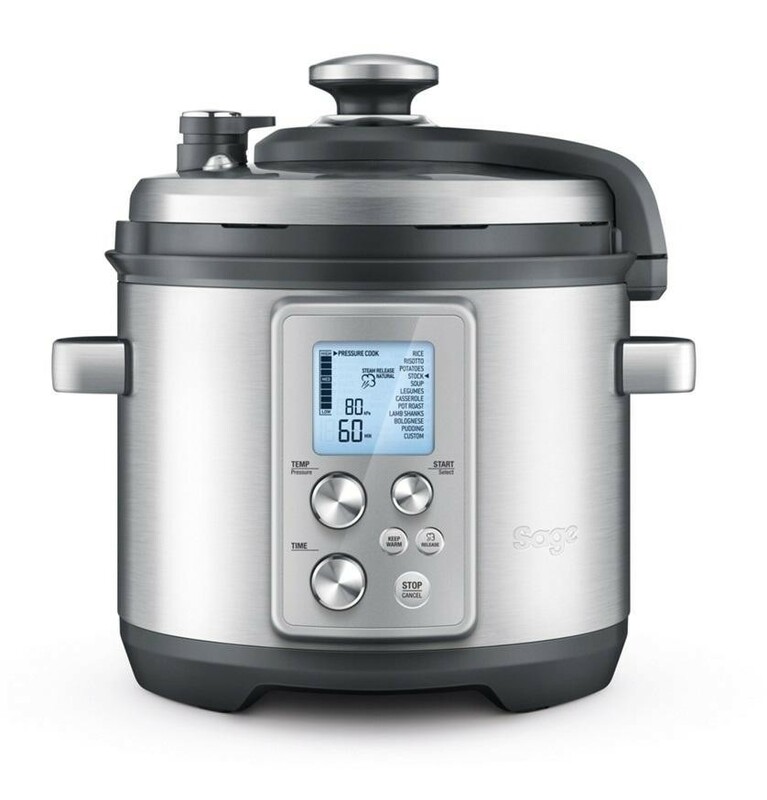 The 'Fast Slow Pro' a multicooker with pressure and slow cook menus that automatically adjust time, temperature and pressure between fast and slow cooking. Dual sensors at the top and bottom monitor ingredients for more accurate temperature and pressure control, while the hands free steam release automatically varies across foods to maximise flavour and texture. So now you can pressure cook, slow cook, steam, reduce, saute and sear with the press of a button and you can rely on the fully interactive LCD to tell you when its building pressure, cooking and releasing steam.